For the emails, you send with JungleMail for Office 365 you can select how your images respond to the device they are opened on. In this tutorial, you will learn what the different size options are and how you can set them. Large images, wider than the available space, will be set at 100% width and will keep this ratio on mobile, using the entire device display width. Small images, smaller than the available space, will use the image natural size to avoid distortion effects or blurry pics. 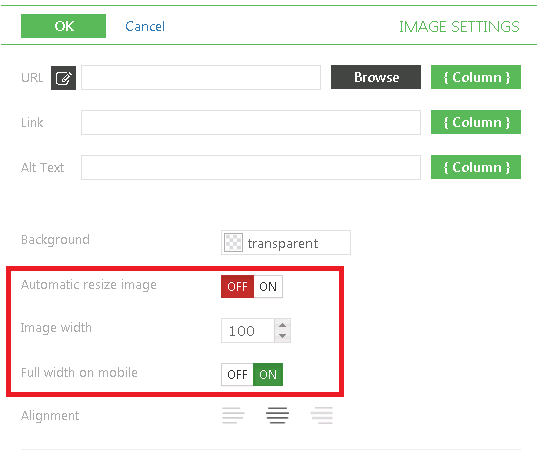 Note: when the automatic image resize option is enabled you will not be able to set the image width yourself. 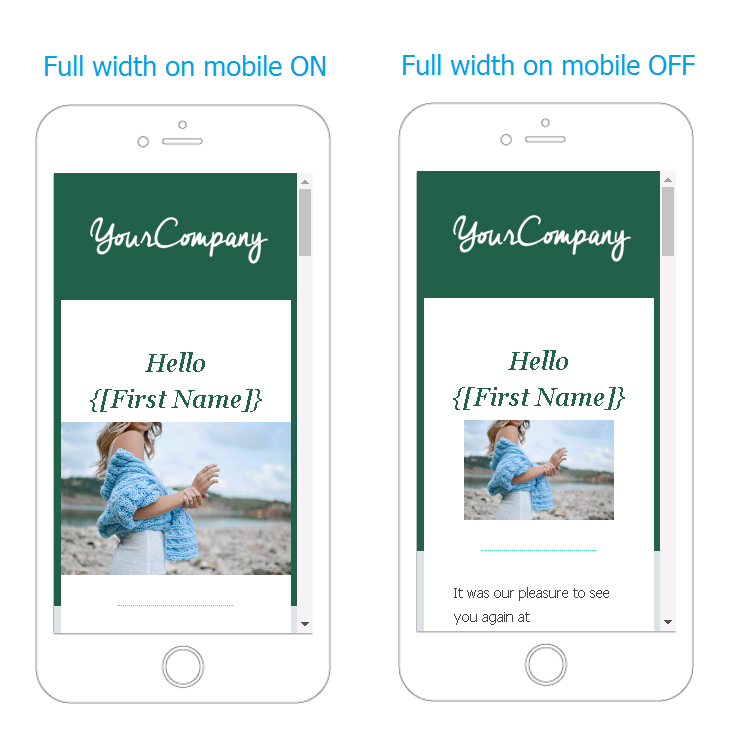 When you turn on Full width on mobile, the image will use the full width of the mobile device screen.